Evaporated milk is fresh, homogenized milk from which 60 percent of the water has been removed. A slightly caramelized flavor results from the high heat process, and it is slightly darker in color than fresh milk. The evaporation process also concentrates the nutrients and the food energy. Thus, for the same weight, undiluted evaporated milk contains more food energy than fresh milk. To make your own evaporated milk you will need a heavy saucepan. (Keep in mind that you will be reducing the liquid by about 60 %%, so you will need to add roughly 2.25 times more of your initial liquid to ensure that you end up with the amount that you desire as a finished product.) 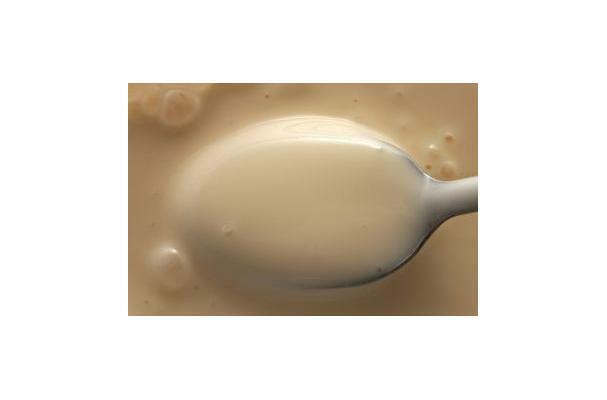 You will be making evaporated milk by reducing it — or evaporating away much of the water it contains. Don't boil it, because it will scorch and stick to the pan. Simmer it until it is reduced by more than half.